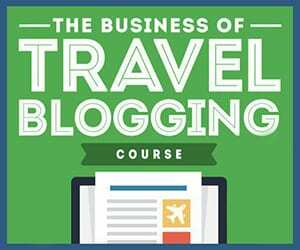 When I travel I really love to just sit back and enjoy a place and the experiences that I have. I also of course love to eat. I think those are the two main reasons that I love afternoon teas so much. 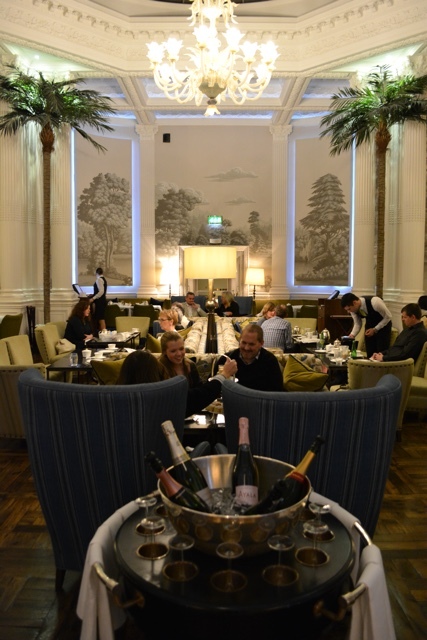 I also love pretending to be fancy and enjoying an afternoon tea in The Balmoral Palm Court in Edinburgh is an excellent place to do just that. 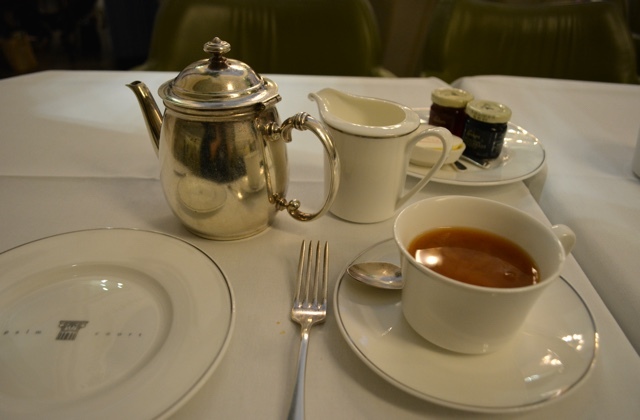 I find afternoon tea to be a fun activity when traveling solo. Now don’t get me wrong it is great to also enjoy with a friend or two but it is also just a nice way to treat yourself. I like to think that the others around me make up stories in their minds about me being a rich heiress or something along those lines. (A girl can dream.) 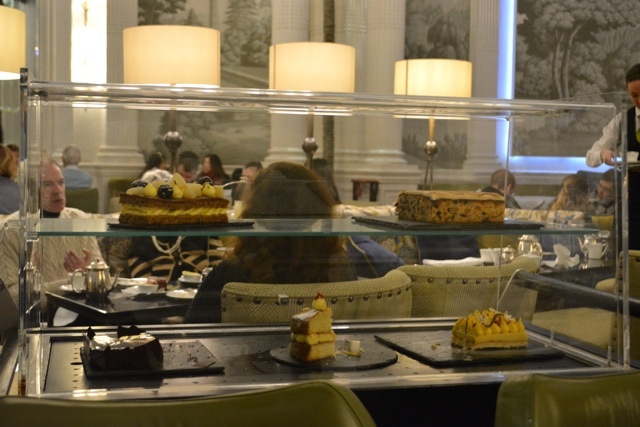 I also enjoy people watching, and let me tell you, afternoon tea is a prime spot for some great people watching. 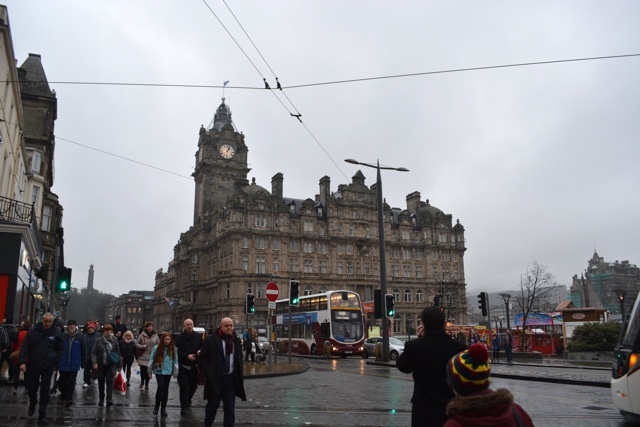 Edinburgh, Scotland is one of my favourite cities to visit in the world and I have been there at least three times now. The last time I was there was to celebrate the Hogmanay New Years Eve celebrations and I had some free time, so planning an afternoon tea was at the top of my list of things to do. 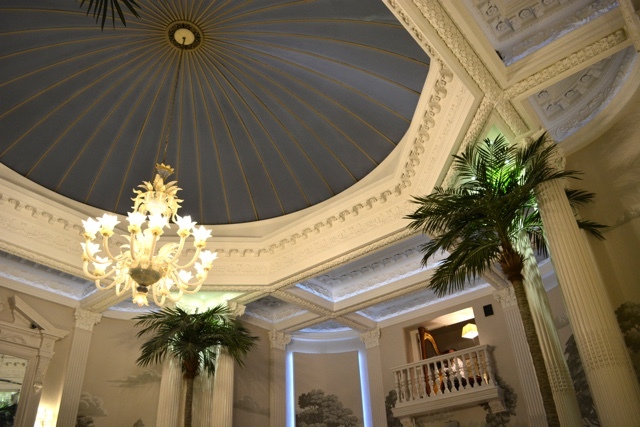 The iconic Balmoral Hotel on Princes street in Edinburgh is a must visit for an afternoon tea in their Palm Court. 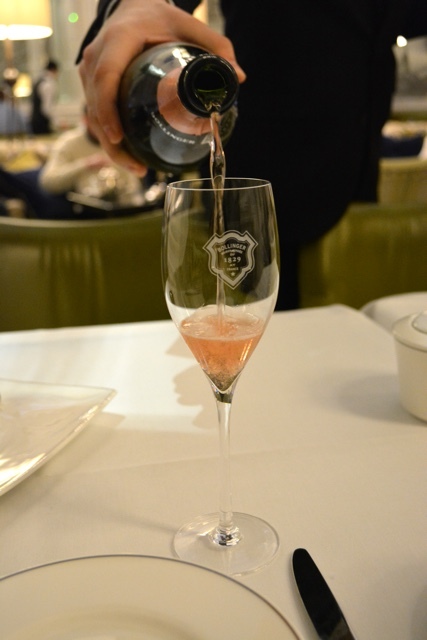 My afternoon tea began with a little bit of bubbly of course. 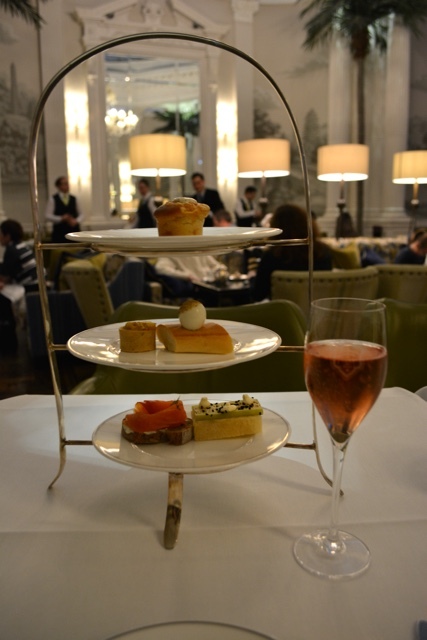 The afternoon tea at the Balmoral starts at 35 GBP and my delicious glass of Bollinger Special Cuvée Rosé might have been another 18 on top of that. Worth it? Yes, for a fun splurge. This is Champagne from Champagne, this is the “real” stuff. 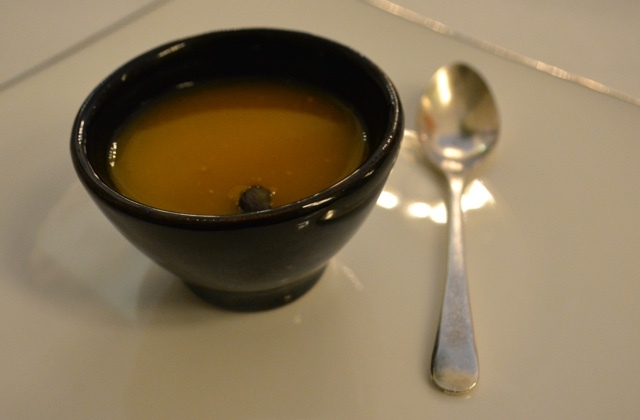 While enjoying my champagne I was served some savoury options starting with an amuse bouche of butternut squash and red basil leaf soup. Red basil was a new thing for me, and it was so good. Next arrived my first tea tower of the day featuring more tasty savoury foods. 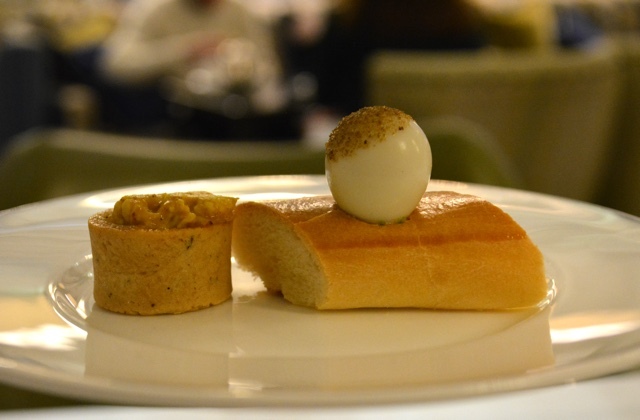 The next level down was a coronation chicken curry tartlet, a one bite delight and alongside, the world’s smallest baguette with a quail egg and celery salt. 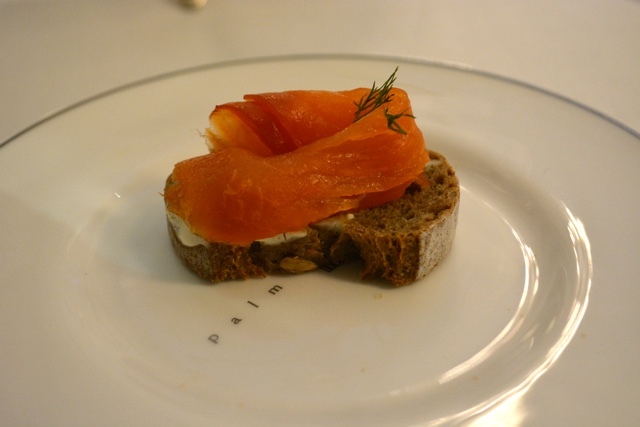 A simple homemade smoked salmon on brown toast. So fresh. I would have loved to of ordered more of all of these but as soon as I was done my tea arrived and soon, so much more tasty food. 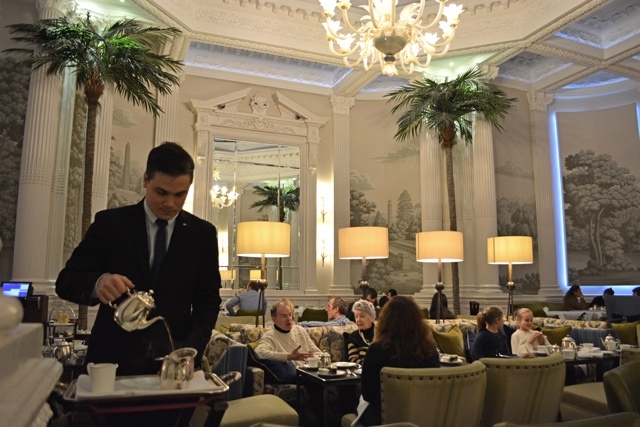 I think the service in the Palm Court at the Balmoral might have been the fanciest service that I have enjoyed at an afternoon tea yet. They were friendly, and helpful, they didn’t hover and let me take my time and gave me my space, yet were always close enough if I needed something. I also didn’t feel like I was being rushed. Some places tell you that your afternoon tea booking is only for 1 hour and 30min, but I think a tea should be longer than that. 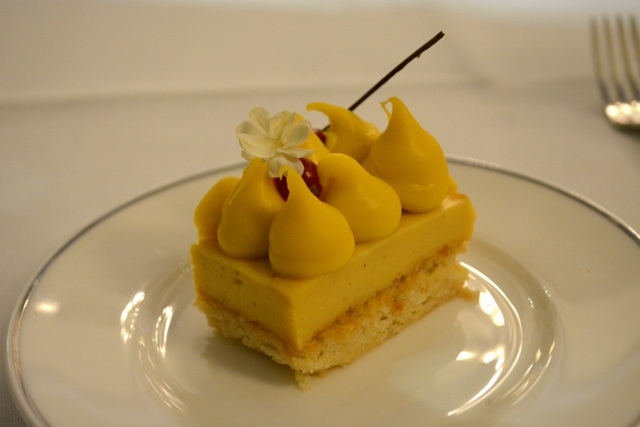 A good afternoon tea should take as long as it takes. My tea of choice was the Famous Edinburgh tea which is a blend of India, Sri Lanka and Kenya ceylon based tea. 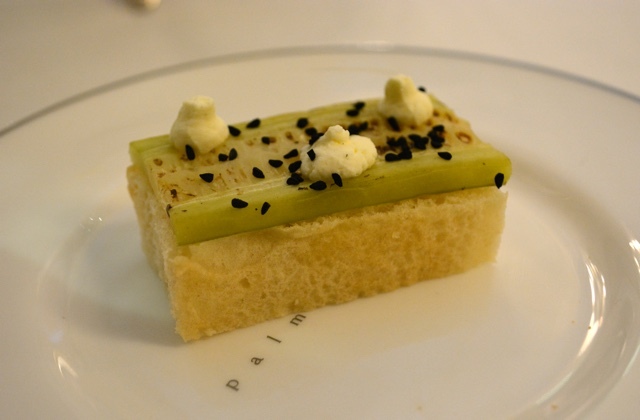 A popular choice of many at the Balmoral, and a delicious tea with a drop of milk. As soon as my tea was served I was brought my second tea stand, now full of sweets and scones. It was hard to decide what to eat first. Scones? Chocolate? Fruit smoothie? The scones won. Not too doughy, with a nice little crunch on the outside. 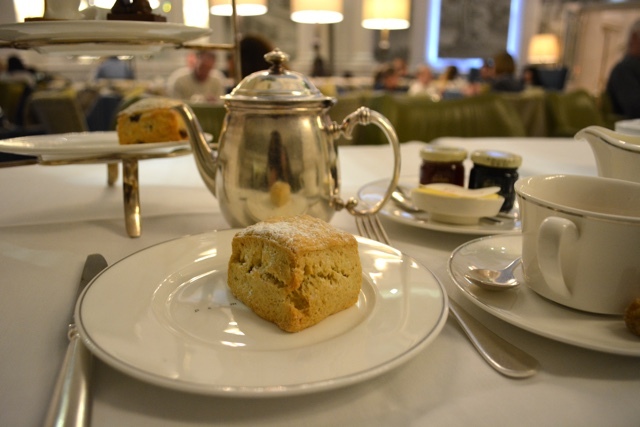 Gotta love a true scone from the UK. 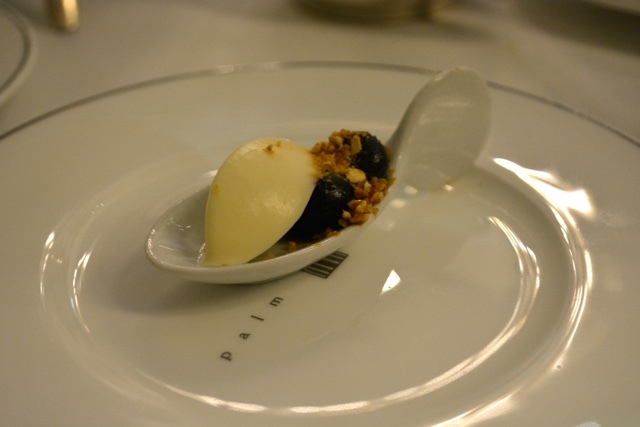 A spoonful of yogurt panna cotta, carmelites, granola and blueberries. (I had to google carmelites too and no its not a catholic priest). I just love one bite servings like this. After the tart I assumed my tasty tea and feast was over, but boy was I wrong. Suddenly a server appeared with this tempting looking cake trolley / cart and ask which I would like. The winning selection was probably one of the most yellow things that I had ever eaten. 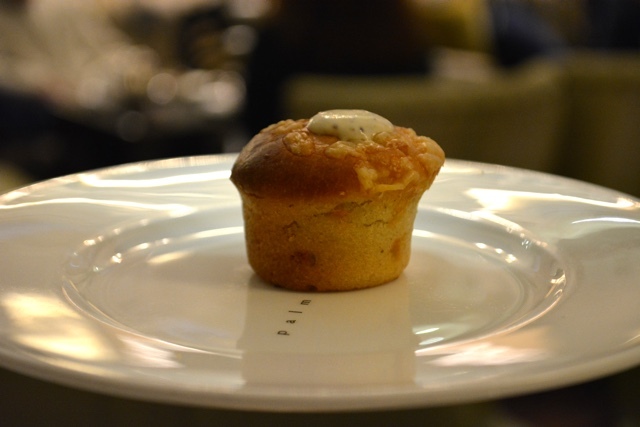 It was a coconut cake with exotic fruit, banana cream and jasmine petal. It was definitely as good as it sounds. 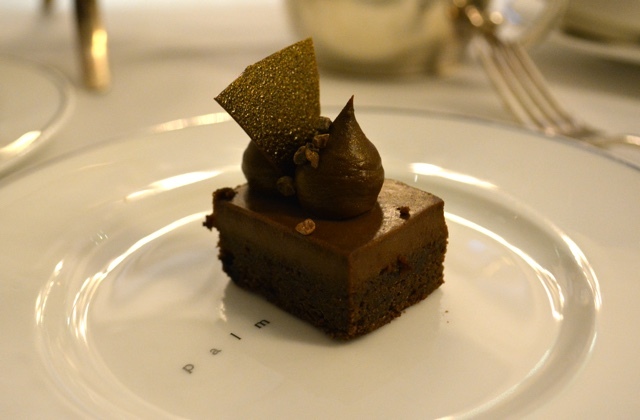 I might have wished for a slightly bigger piece however… but don’t we all? After the cake there was still one last treat for me. 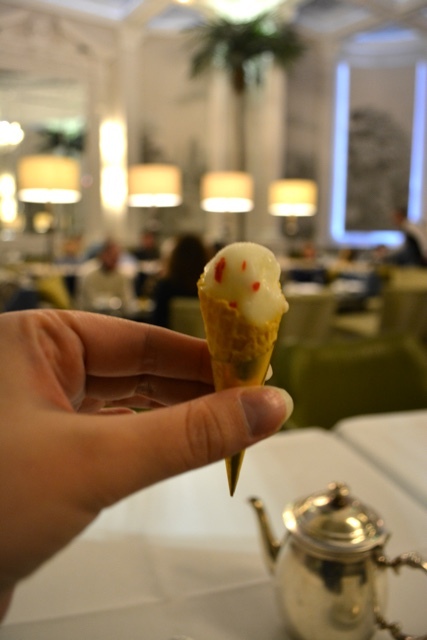 The world’s smallest ice cream cone. Lemon sorbet with raspberry sugar. 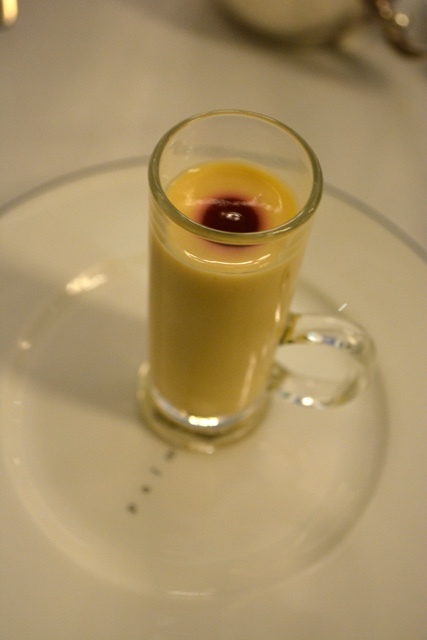 Nice and tart and the perfect pallet cleanser to end my afternoon tea with. If you visit Edinburgh I can highly recommend this tea to you. 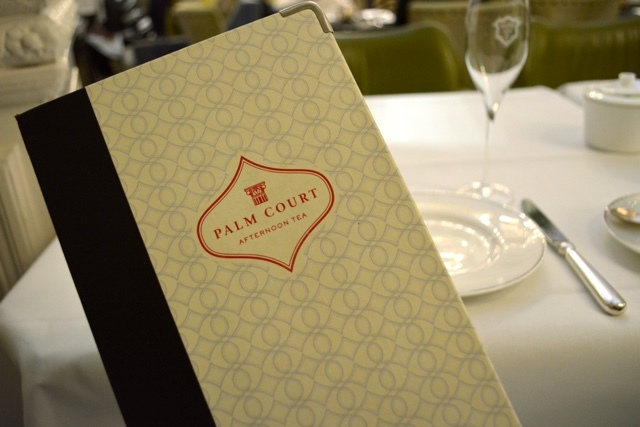 The service was excellent, the food was delightful and there is nothing like a nice cup of tea on a dreary winters day like when I was there. If you do get a chance to enjoy it as well, let me know how it was! 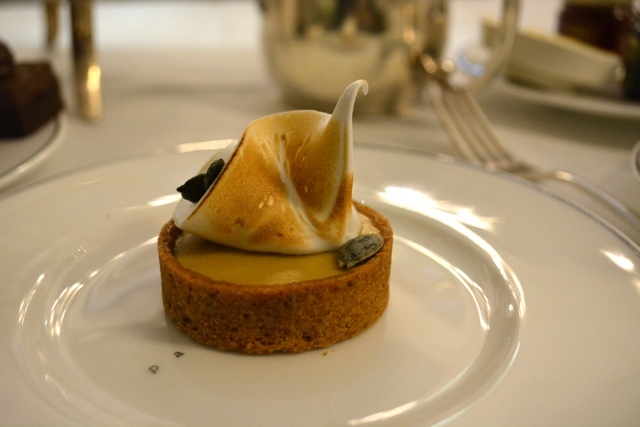 Special thanks to the Balmoral for hosting me. As always all opinions and views expressed are my own as is my delightfully full belly. 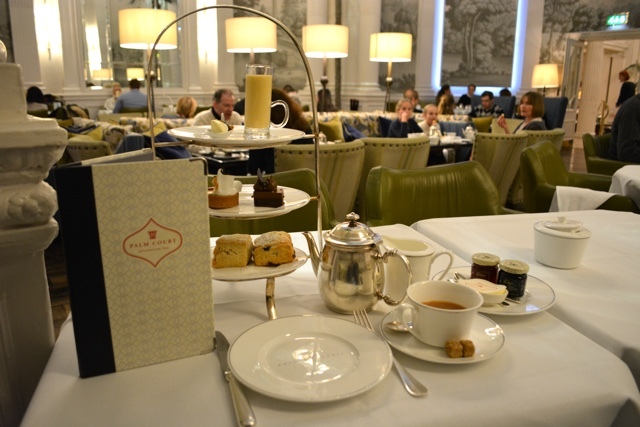 Afternoon Tea is one of life’s simple pleasures … glad to see you had a great time!